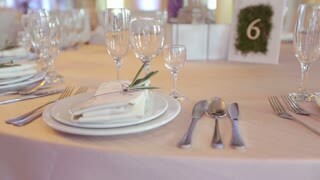 Beautiful wedding table setting. 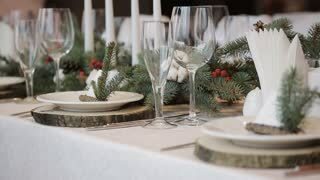 Festive table setting on the background of mountains. 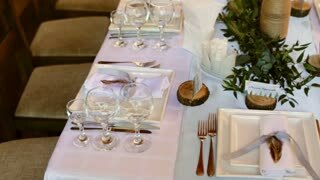 Beautiful table setting on the outdoor terrace. 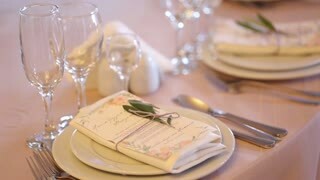 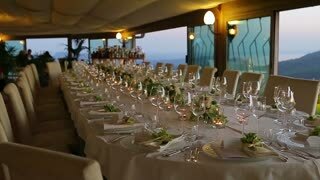 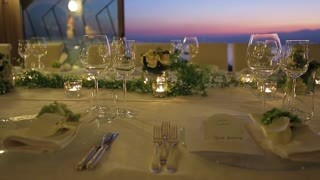 Table setting on the background of evening landscape. 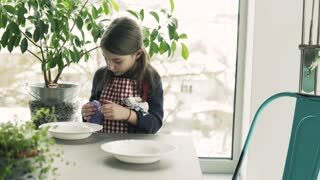 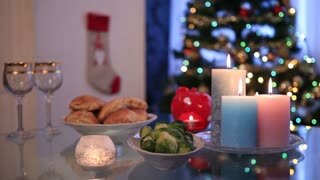 A small girl setting the table at home.